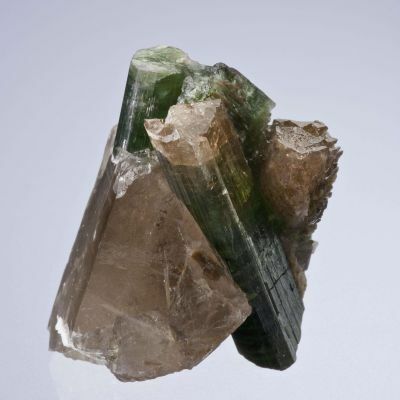 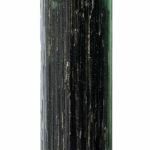 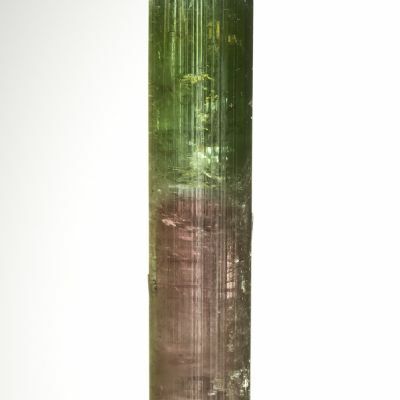 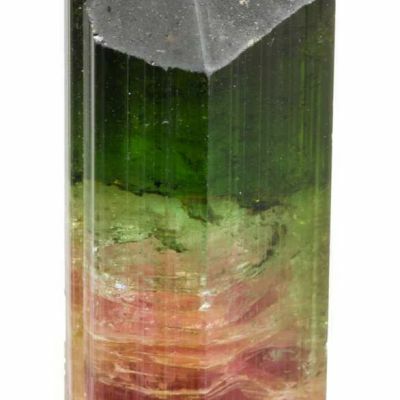 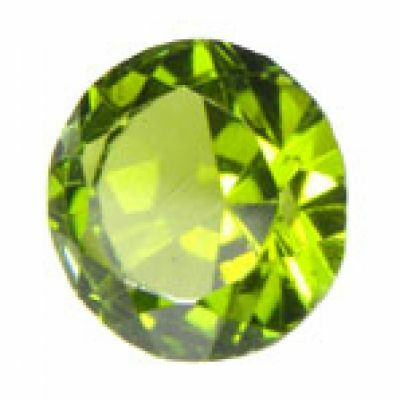 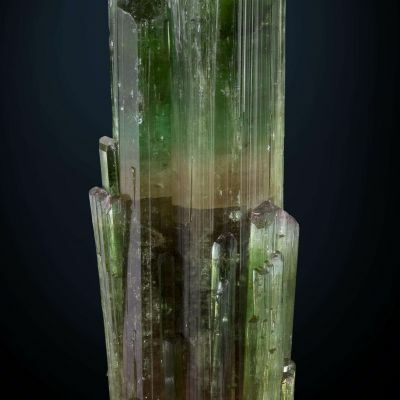 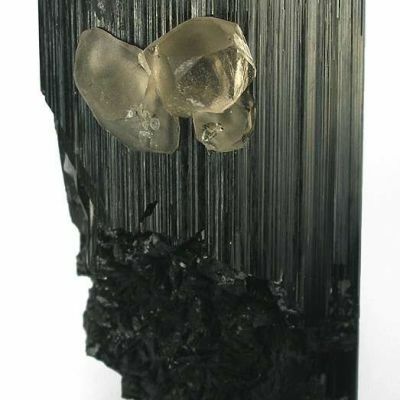 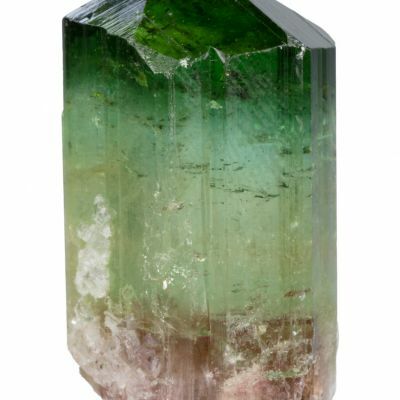 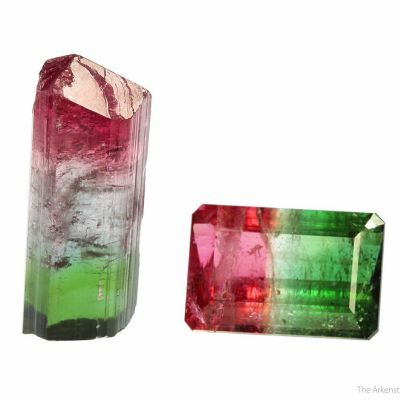 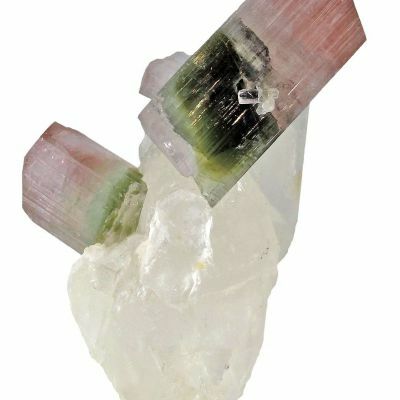 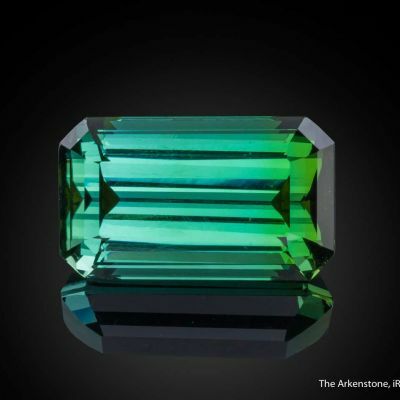 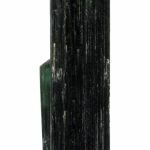 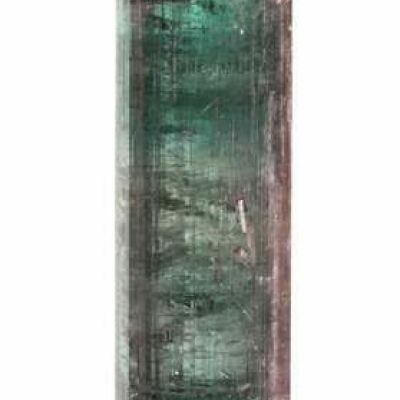 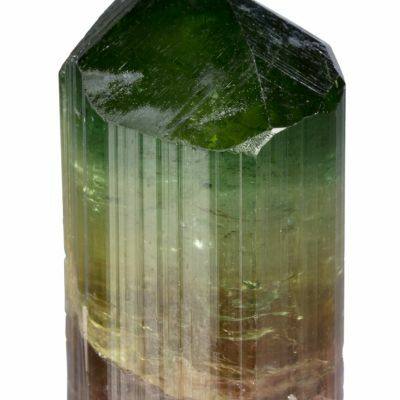 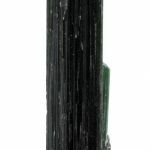 Lustrous and translucent, this attractive elbaite crystal exhibits an almost transparent, apple green area just below the termination. 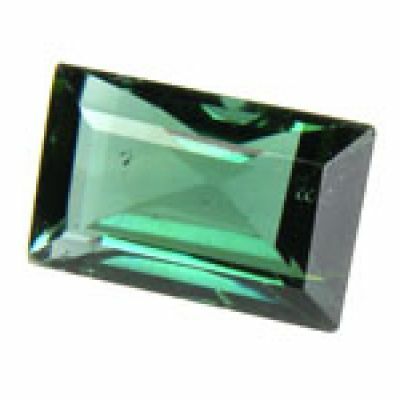 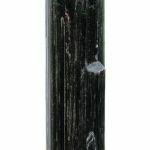 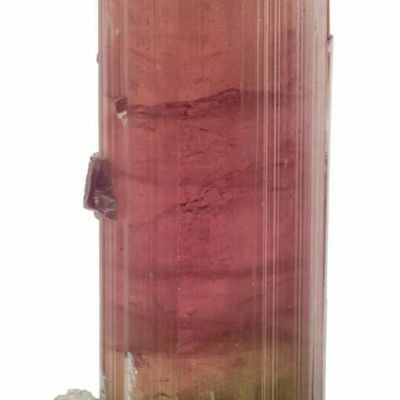 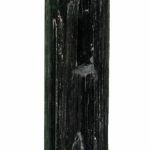 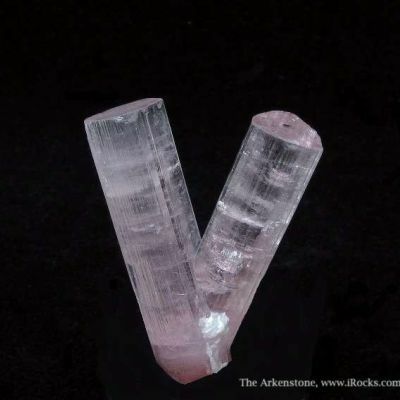 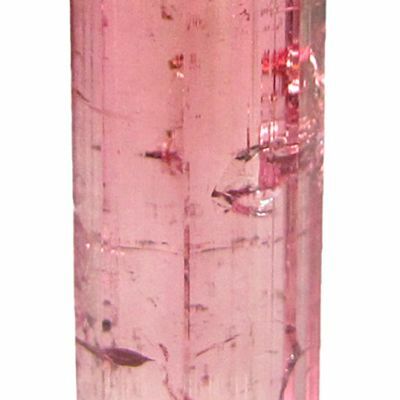 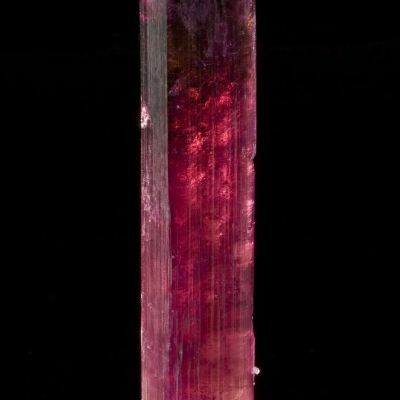 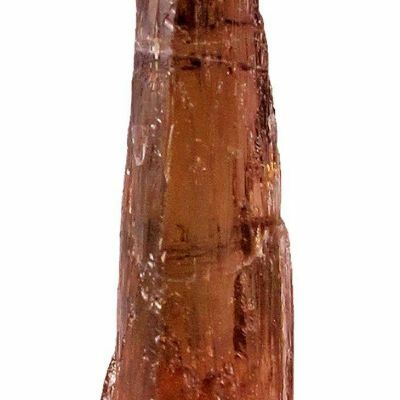 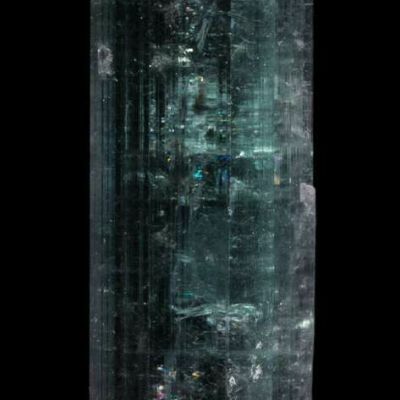 Obtained from a gem cutter who was going to cab it for the top zone, it is a beautiful, if dark, crystal. 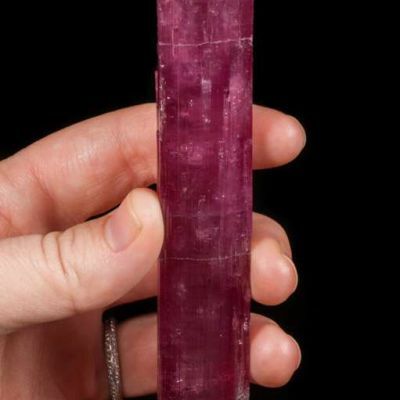 136 grams.